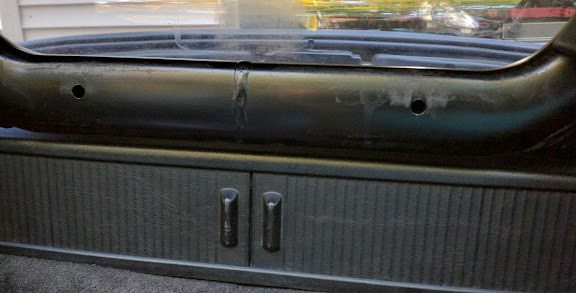 Add hard rear storage shelf and speakers to '98 that had soft shelf. Sound was atrocious from front dash speakers (system with fronts and door subwoofers.) All treble and muffled base...no midrange. Bought rear hard storage and "Euro Motorspeed" rear speaker kit. When you buy hard storage be sure it comes with two longer lock pins you will need to attach it. Kit went together fairly easily other than having to reglue front strip which was held together with double sided tape that pulled apart. Only hiccup was rear package self attachment for rear storage bag which interfered with hard shelf installation. Might have been able to bend it but wasn't confident that would continue to be hassle every time shelf was taken out and put back in so decided to remove it. 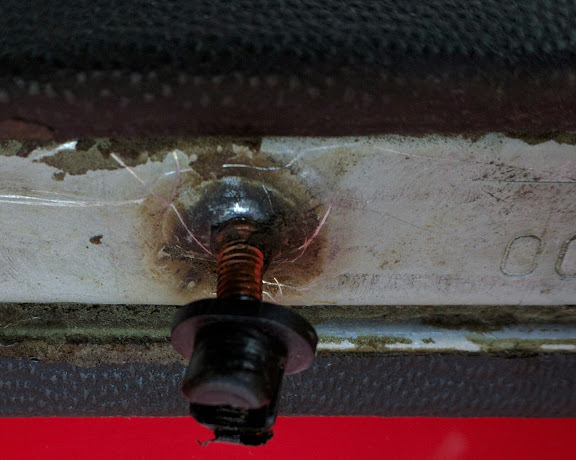 That required removal of center trim piece from roll bar. The trim piece is retained by two screw studs which get pressed into expanding plastic plugs. 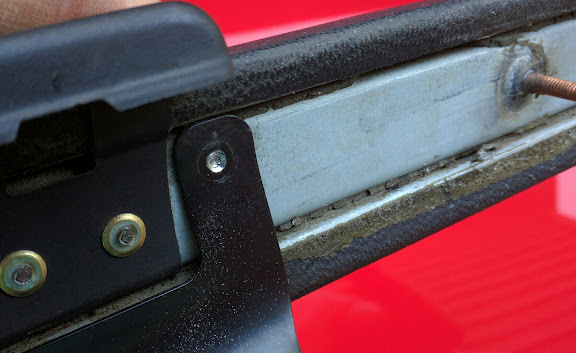 The only way to remove it is to firmly, but gently pry it out by wedging a plastic trim removal tool under the edge and twist and pry till it pops out. Remove the windscreen first, if you have one, so you have room to work and don't accidentally scratch it or break its delicate retainers. Then the offending retainer tab on the trim piece is removed by drilling out two rivets with a 1/8" drill. Only remove the lower bracket from the trim piece. The upper plastic bracket retains the windscreen. You can reuse the plastic expanding plugs. Slide them into the roll bar first then push the trim piece back on. As an added bonus my soft package shelf never stayed attached to tab (missing retainer screw?) This caused it to move slight backwards at the top edge which caused the convertible top latching lever to bump it and partly close every time the top was opened. I would have to reopen the latch as the top was being closed. Had no idea the shelf was causing this till new shelf "fixed" this issue. BTW. Sound is 1000 times better to the point where I can't even hear the front speakers unless fade is heavily biased to them. They are due for replacement next. Here is the roll bar with trim removed showing attachment holes. Here is a closeup of trim piece showing one of the rivets drilled out. Only remove this one piece. The other piece retains the windscreen. 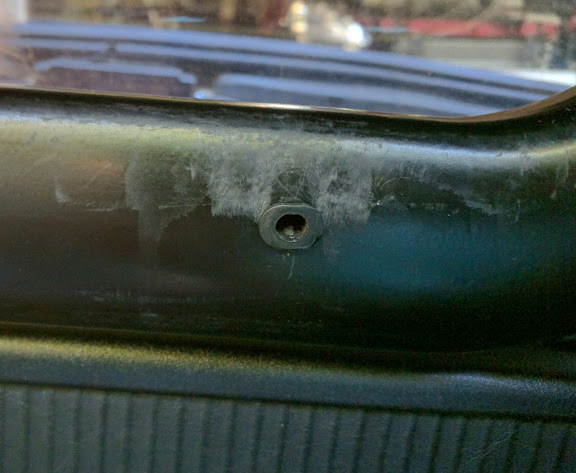 Here is a closeup showing expanding plug reinstalled before pushing trim back on. Last edited by Disaster; 07-10-2016 at 02:52 AM.